This is dangerous territory. Enter and be DOOMed! 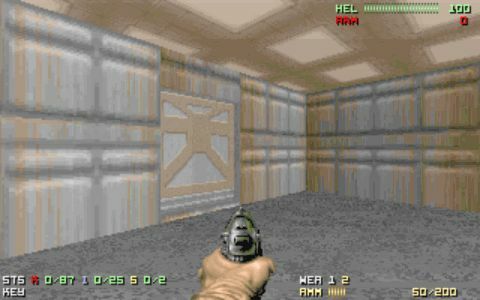 2.26.01 Guess the identity of this classic map from its initial screen! The first person to send me the correct answer will win awed applause from his peers and his name immortalized on the Asylum walls, at least until we repaint. Hint: it's not of this world. Visit the Annex to view previous contests and meet the winners!